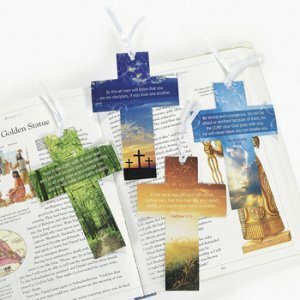 1 Christian Picture Bookmark. These bookmarks make lovely gifts or are good fund raisers in fetes and Christian shops. Each bookmark has a nature based photograph with a Bible quotation. Bookmark is made of strong card and measures 15cm by 10cm.